ANEPROMA in order to facilitate existing market information on wood guards, so-called TP8, provided below, the list of industrial preventive shields which has made the French FCBA technological Center, with which, You can learn the most effective minimum retention for a particular biocidal product. In addition, to handle properly the downloadable document containing data purely informative, It provides a small example that will allow to carry out a more clear and concise interpretation. Then, You can download a document with updated rules. 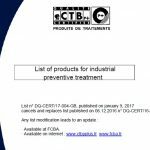 The following table includes treatments that should be applied according to the kind of use. The guide aims to be the first specific document addressed to the final customer and technician, For what, easy and visually, You can decide the proper treatment to carry out, being aware of the frequency of execution. Price: 5 minimum exemplary €/ No. (10). 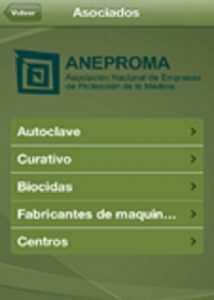 ANEPROMA as representative of both preventive and curative wood sector has carried out the first practical guide at national level that will enable both professionals and technicians of the sector to know and diagnose any disease that is present in the wood. Price:5 minimum exemplary €/ No. (10). 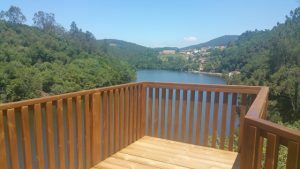 This guide aims to be a useful tool for the main contractor who receives material, in particular, in those works that use wood treated with a protective (Biocidal product) that it can improve its natural durability. 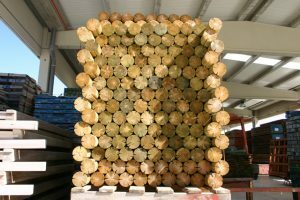 ANEPROMA It has detected the entry of a large number of fir wood, fake FIR or spruce in Spain, which, on many occasions it goes untreated and sometimes brings home, a treatment with a protector (Biocidal product) with water-soluble salts (green color) they are sold as suitable for use classes 3 and 4, When it is not allowed according to UNE in 335. The wood of national origin, European countries or third countries, You must meet a series of aspects with regard to the treatment to ensure durability against the degradations of xylophages. 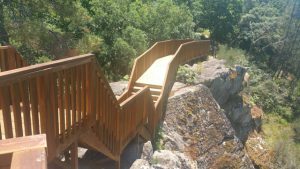 ANEPROMA puts the first specific application in the sector of wood treatment that allows a decision making in the assignment of treatments or choice of species to include in a work based on the location that is available to all users to have and additional information of interest. ANEPROMA It is developing a large number of projects since its inception, to enhance the activity of the Association, and more specifically, his research work through a technical team specialized in the field of the treatment of the wood and the forest and industrial area of the wood, with great experience in the elaboration, development and implementation of environmental projects, training and even more, in R & d and new technologies.